Check out this incredible view of the “Bomb Cyclone” - the powerful winter storm currently making its way toward the northeastern United States. From this vantage point in outer space, we can see the center of the low pressure area and a thick band of clouds bringing even more snow and gusty winds from the Mid-Atlantic states towards New England. The term “bomb cyclone” refers to the intensification of the storm that happens when an extreme drop of pressure occurs in a short period of time. 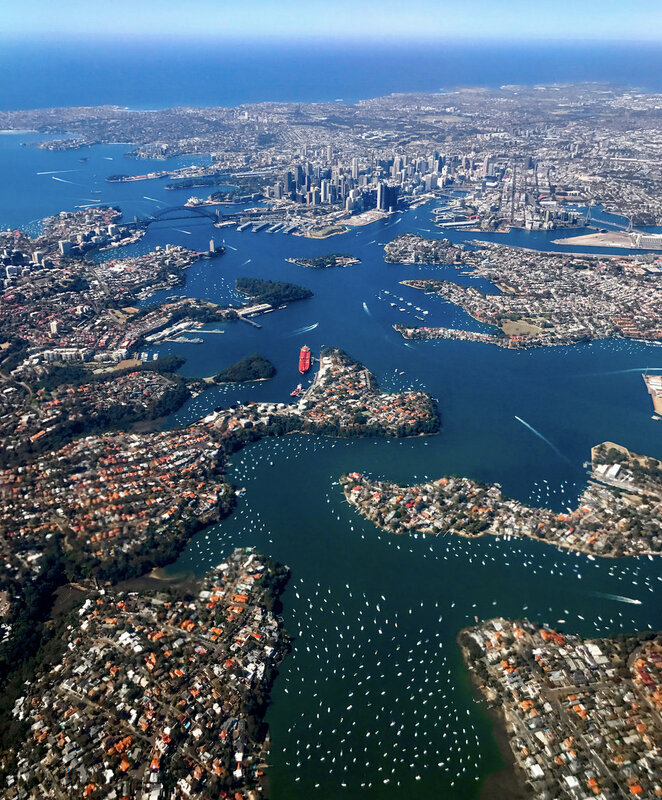 Check out this stunning view of Sydney, Australia. The city is the most populous on the continent with more than five million residents. The geography of the city - located on the Tasman city and built around numerous harbors and inlets - is beautifully captured in this photo. 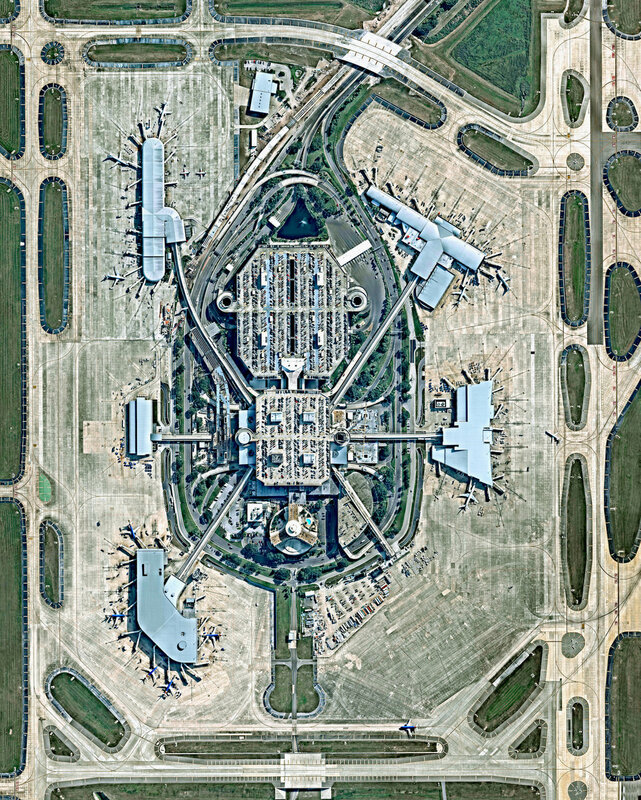 Today I’ll be flying into Tampa International Airport in Tampa, Florida, USA. Designed in the 1960’s, the facility’s Landside/Airside design was the first of its type in the world. In this layout, baggage and ticketing functions take place in a central "Landside Terminal” which is surrounded by four “Airside” satellite terminals where planes embark and disembark. Another 2017 favorite - Cars wind down the hill of Lombard Street, which runs from east to west in San Francisco, California, USA. 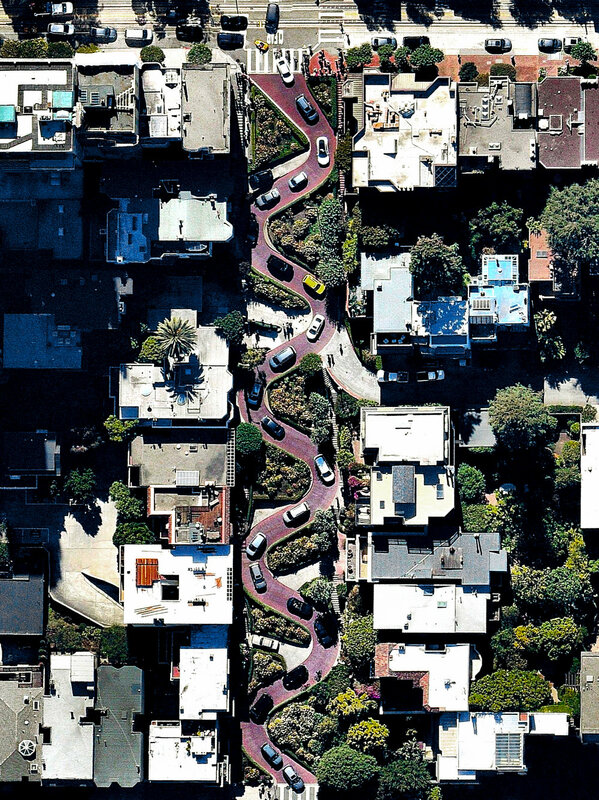 With eight hairpin turns dispersed over a one-block section in the Russian Hill neighborhood, Lombard is often referred to as “the most crooked street in the world." Here’s another favorite from 2017 — Niagara Falls is the collective name for three waterfalls that straddle the border between Ontario, Canada and the United States. Horseshoe Falls is seen here. The falls have the highest flow rate of any waterfall in the world, with a vertical drop of more than 165 feet (50 meters). The Maid of the Mist, also visible here, is a boat that has carried passengers into the rapids below the falls since 1846. Merry Christmas from Daily Overview! St. Peter’s Basilica, located within Vatican City, is regarded as one of the holiest Catholic sites and one of the greatest churches in all of Christendom. And to everyone who unwrapped a copy of “Overview” this morning, we hope you love it! Salt pans are visible on Ile de Noirmoutier, an island off the coast of France. Here, more than 800 tonnes of salt are extracted annually through evaporation. Sea water is channeled into the basins via canals, which pass through reservoirs that get progressively shallower. Over time, evaporation causes the salt to crystallize and it is then carefully extracted from the pans. Today is the last day that we can guarantee US orders placed in our Printshop will arrive by Christmas! 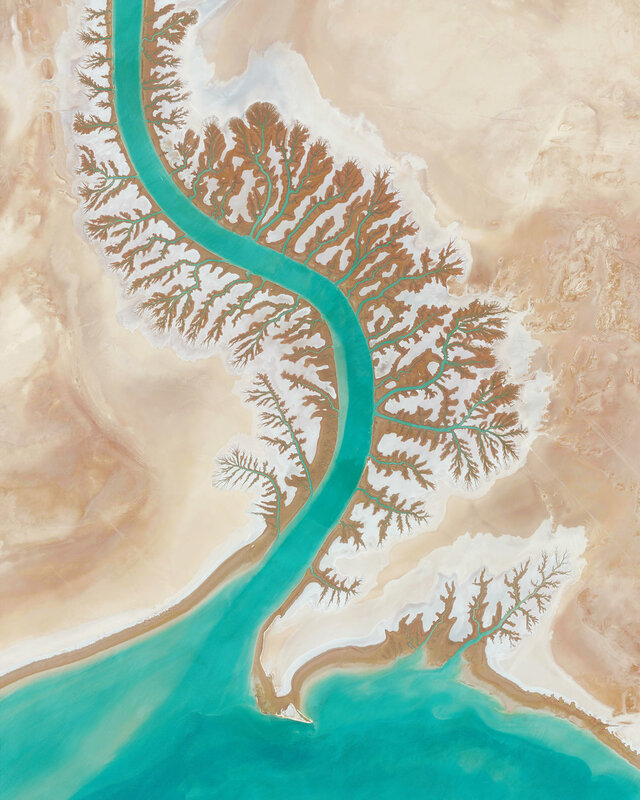 Here we see Shadegan Lagoon and its tree-like drainage systems in Iran - one of our favorites from the collection. Don’t forget to use code ‘HOLIDAY20’ for 20% off your entire order. Happy Holidays! Lisbon is the capital and the largest city in Portugal with an estimated population of 552,700. This Overview captures a sizable portion of the downtown area, including the green space at right called Parque Eduardo VII — a massive city park known for its exotic plants, monuments, and panoramic views of the city. Lisbon is the only capital in Europe located on the Atlantic Ocean. Manhattan is the most densely populated borough in New York City and is home to roughly 1.6 million people. 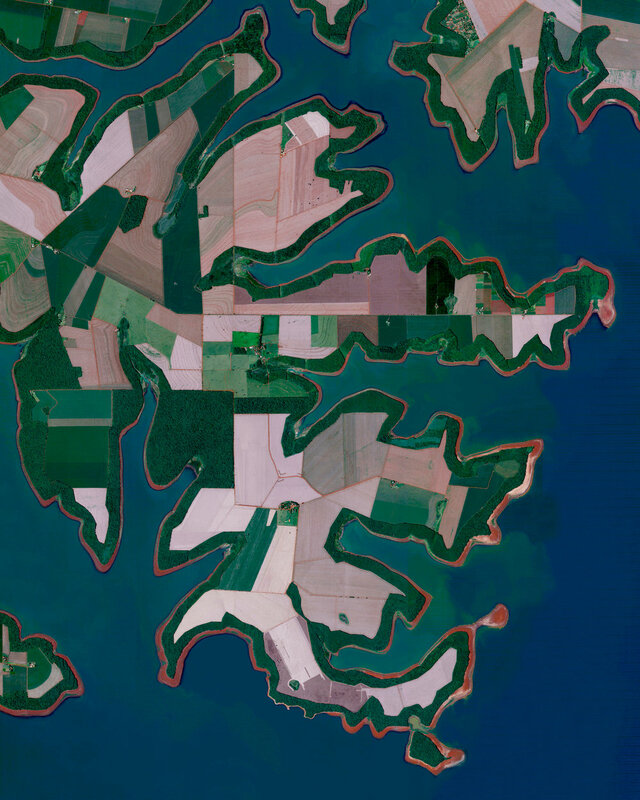 With an area of nearly 23 square miles, there are approximately 72,000 people for every square mile. This Overview is now available in our PRINTSHOP where we are now offering 20% OFF all prints with coupon code ‘HOLIDAY20'. Wildfires, visible at center, are currently burning in Ventura, California. Numerous blazes have already destroyed hundreds of homes and thousands of residents have fled the surrounding areas. The largest fire has expanded to cover an area roughly the size as the city of Orlando. To be very clear, the two white streaks seen here at left are cloud cover, not fires. Mossel Bay is located on the Cape St. Blaize Peninsula, jutting out into the Indian Ocean of South Africa. The harbor town is home to roughly 130,000 people and is recognized as a center for both tourism and agriculture. 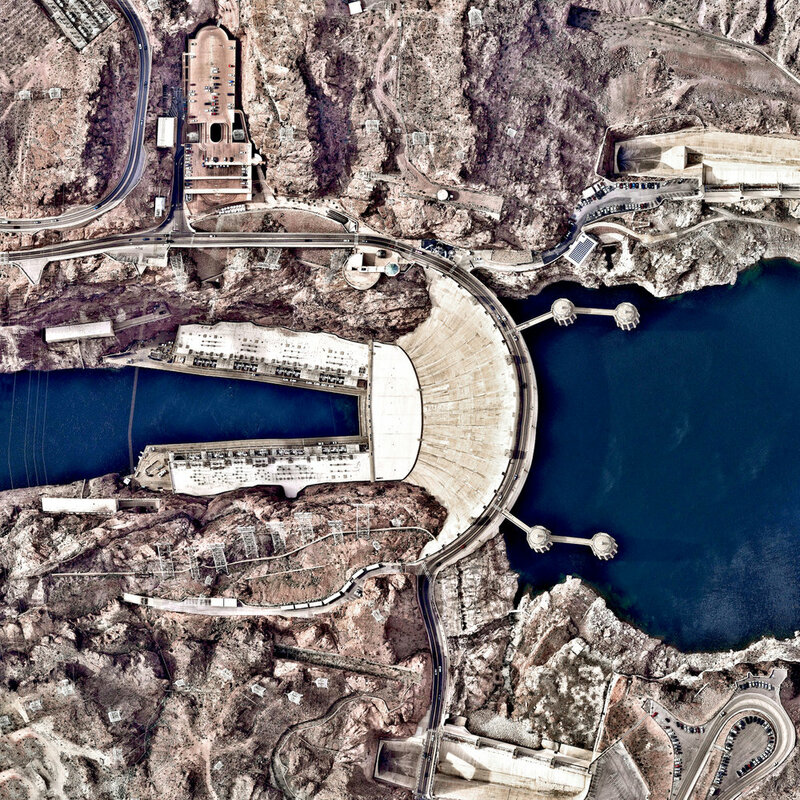 Hoover Dam is a 221-meter-high (726-foot), 379-meter (1,244-foot) concrete arch-gravity dam, located on the Colorado River at the border of Arizona and Nevada, USA. Constructed between 1931 and 1936 during the Great Depression, a workforce of approximately 20,000 poured a total of 3.33 million cubic meters (4.36 million cubic yards) of concrete to complete the structure – enough to pave a two-lane highway from San Francisco to New York City. Waste ponds are seen at the Neves-Corvo Mine in the Castro Verde Municipality in Portugal. Zinc and copper and the primary resources extracted from the mine and the byproducts of that extraction is sent to these basins three kilometers away. Typically, once waste materials are pumped into a tailings pond, they are mixed with water to create a sloppy form of mud known as slurry. The slurry is then pumped through magnetic separation chambers to extract usable ore and increase the mine’s total output. Boats are moored in the waters by Plymouth Rock in Massachusetts, USA. A nearby site onshore is recognized as the disembarkation point of William Bradford and the Mayflower Pilgrims who founded Plymouth Colony in 1620. The following year, in 1621, a feast was held to celebrate a bountiful harvest, which is commonly recognized as the first Thanksgiving. Cádiz is an ancient port city surrounded by the sea in southwest Spain. Because the city was constructed upon a spit of land that cannot support high-rises, its skyline has not substantially changed since medieval times. A portion of the “Old City” — an area characterized by narrow winding alleys connecting large plazas and markets — is seen in this Overview.